Click on an option for step-by-step removal instructions from the experts. 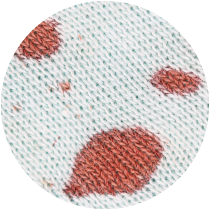 Most stains can be removed if you treat them right away and then wash the garment normally. 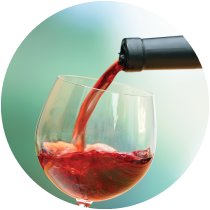 However, certain stains can be a bit trickier and need special attention. Please read below for advice on things to keep in mind. Before you treat a stain. Remember to take action immediately. 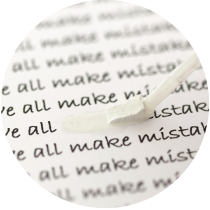 When it comes to removing stains, the sooner you treat it the better chance you have of removing the stain. To check for colour-fastness prior to soaking or washing, dampen a small area such as the inside seam or hem, leave for a few minutes and then dab a clean white piece of cloth on the wet area, if the colour comes off the fabric, it is not colour-fast. These items should be washed separately and rinsed immediately without soaking. For clothes that are heavily stained, you might need to soak it for a while before washing, to help loosen the stain. Read and follow the directions on the care label of your clothing. 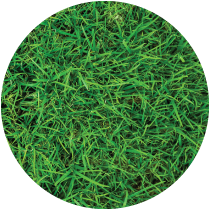 Do a colour-fast test on an inconspicuous area. 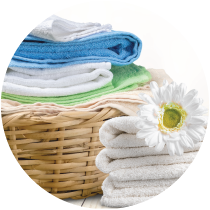 For wool, or other delicate items, use a wool wash or a product formulated for washing delicate clothes. If washing silk or any other expensive fabrics we suggest you follow directions on the care label. 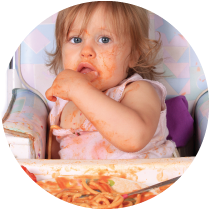 It is not recommended to soak items with metal zippers or buttons etc … As this may cause discolouration and/or damage. Use a solution made of 1/3 white vinegar 2/3 water. Lightly scrub your stain. Use a toothbrush to work solution into the area. then wash as usual. 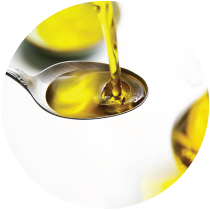 Items can also be soaked overnight in a warm solution of Biozet Attack Liquid/Powder followed by a warm wash cycle. Use a glycerine based product like hairspray. 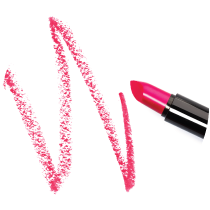 Spray directly onto the lipstick stain. Allow the hairspray to sit on the lipstick stain for up to 15 minutes. Take a clean cloth dipped in warm water and wipe the stain away. Wash the fabric as usual. Dab with methylated spirits then wash with Biozet Attack Liquid/Powder as usual. Dab nail polish remover to back of stain then rinse and wash as usual. 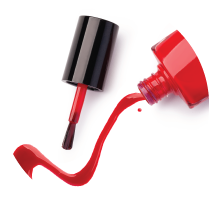 Non-acetone nail polish remover can be less harsh than using one with acetone. Do not use on acetate fabric or related fabrics as they will dissolve. Wash immediately in cold water. Do not use hot water as this will set stain into fabric. If the stain is fresh, run under cold running water before washing, not hot as this will encourage the blood proteins to set. If stain remains or it is not a fresh stain, soak item in cold, salted water (we recommend one or two tablespoons of salt for every litre of water) for a few hours. Add Biozet Attack Liquid/Powder to your wash for a complete clean. 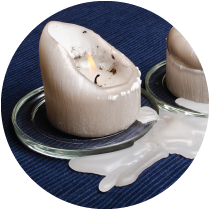 Allow candle wax to harden use ice or place item in freezer. Scrape off any excess then place stain between absorbent paper and press with a warm, dry iron. This will melt residual wax into the paper. When cool, sponge affected area and wash as usual. Use salt/soda water and wash as usual. Quickly cover the stain with a thick layer of salt and pour the soda water on top. Let the stain sit for an hour before brushing off excess salt/liquid. Wash as usual with your favourite Biozet Attack Liquid/Powder. Use lemon juice and salt/vinegar. Lay the item on an old towel, make a paste and apply to the stain. Let sit for 30 minutes to an hour then sponge/rinse off with water. Be careful as citric acid can bleach colored fabrics. Soak item overnight. Mix 4 tablespoons of baking soda with 1/4 cup of water and scrub into the stain. Let the mixture sit on the stain for about an hour. Wash the item as usual using cold water. 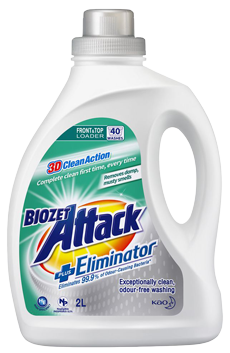 Try NEW Biozet Attack PLUS Eliminator for effective odour removal after soaking your garment. Run item under cold water from the back of the fabric for three to five minutes. 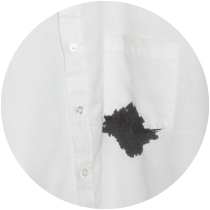 Rub the stain gently every minute or so, to help loosen more stubborn stains. 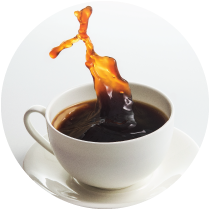 To remove an old coffee stain, apply an egg yolk and let sit until dry. Wash the item as usual using warm/hot water. Sponge item with dishwashing liquid then wash as usual with Biozet Attack Liquid/Powder. Alternatively sprinkle with talcum powder, massage in and leave for 30 minutes. Brush off and wash as usual. 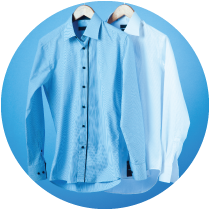 Pour Biozet Attack Liquid directly on the cuff/collar stain before washing. Use the cap to control the amount then wash as normal. 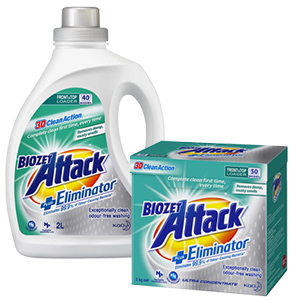 Try NEW Biozet Attack PLUS Eliminator Liquid for effective stain and odour removal. Scape off excess sauce and flush stain with cold water. 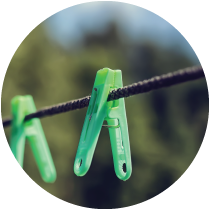 UV rays break down tomato stains so simply launder clothes as usual with Biozet Attack Liquid/Powder. Hang out in the sun to dry with the stain side facing out. White out spilt on school uniform/clothing? Dab with nail polish remover/rubbing alcohol to back and front of stain. Let the alcohol sit on the stain for a few minutes. Rinse thoroughly with cold water then wash as normal. For fresh chocolate stains scrape/blot away any excess. Flush the back of the stained fabric with cold/soda water. This will help loosen the chocolate particles and drive them out of the clothing fibers. 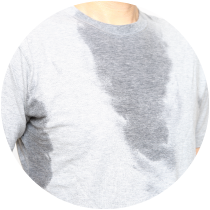 Soak the garment in cold water for 15 minutes, and gently rub at the stain every 3-5 minute. Wash as normal. 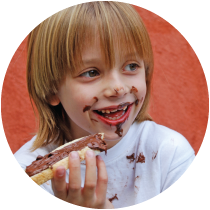 For set chocolate stains, do not use warm water as chocolate stains set with heat and time. Rub Biozet Attack Liquid or dishwashing liquid on the stain and soak the clothing in cold water for at least 30 minutes. Repeat this step until you aren't seeing any improvement. Then wash as normal. Let the mud stain dry completely to prevent smearing. Once dry shake/vaccum the area to remove the dried mud. Rub Biozet Attack Liquid into the stain and allow to soak for 15 minutes and rub between fingers every 5 minutes. Repeat this step until you aren't seeing any improvement. Proceed to wash as normal. 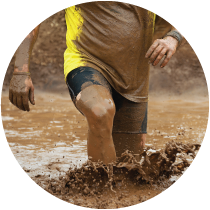 If mud stain traces remain after wash use a stain remover. © 2019 Kao Australia Pty. Limited All Rights Reserved.